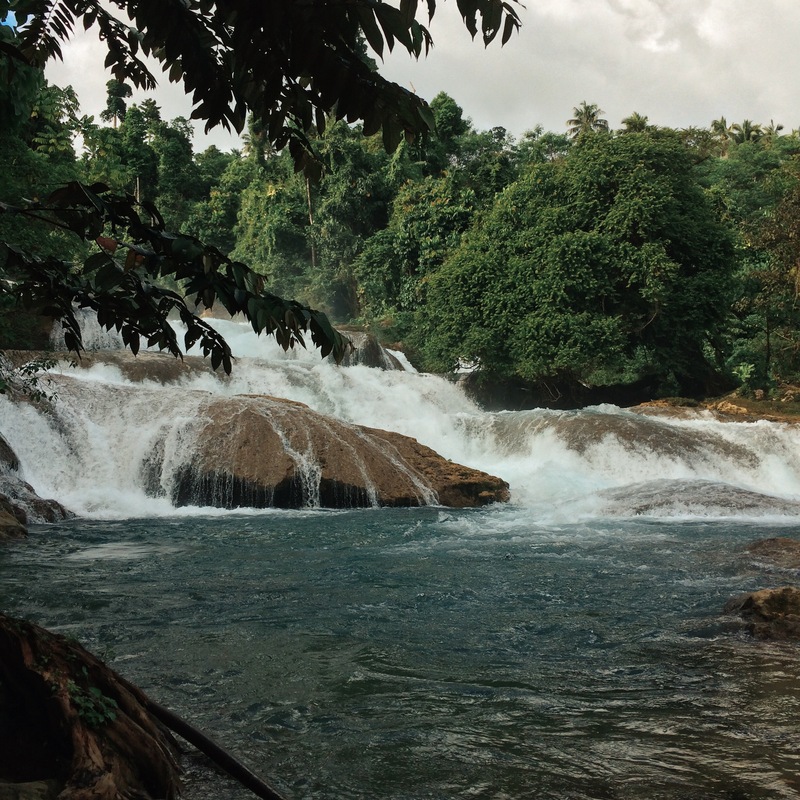 Aliwagwag Falls is one of the most visited natural attractions in Davao Oriental. It is also considered as the country’s highest waterfalls. 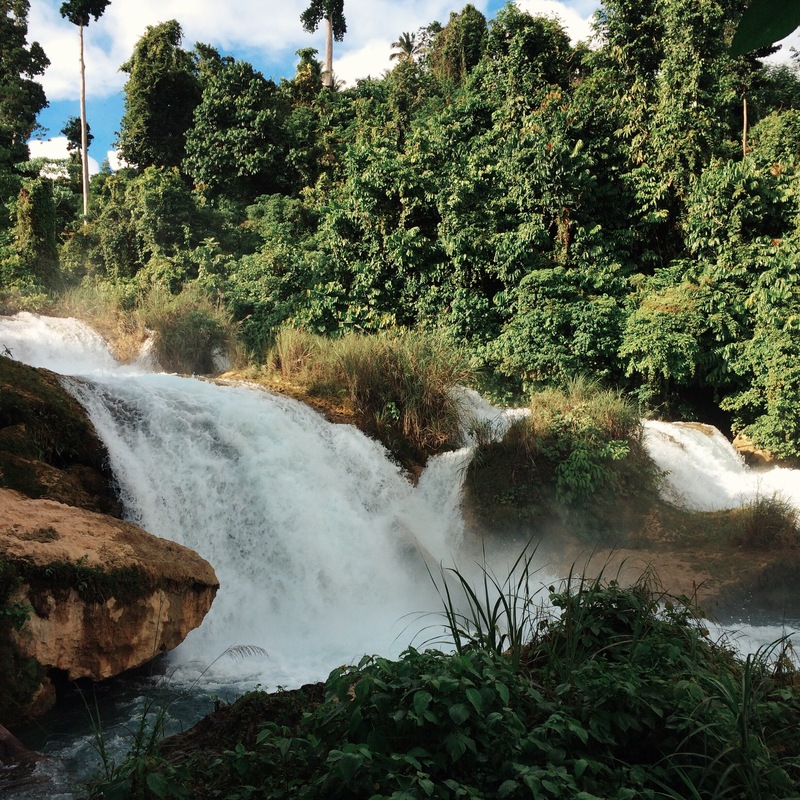 The falls, made up of more than 100 cascading waterfalls, is located just 30-40 minutes away from Cateel (pronounced as ka-ti-il). It is made up of rock formations varying in shapes and sizes. The current is strong; you will be treated with different drops at every level. Definitely a must-visit since it’s considered as one of the most beautiful falls in the Philippines, and we agree! 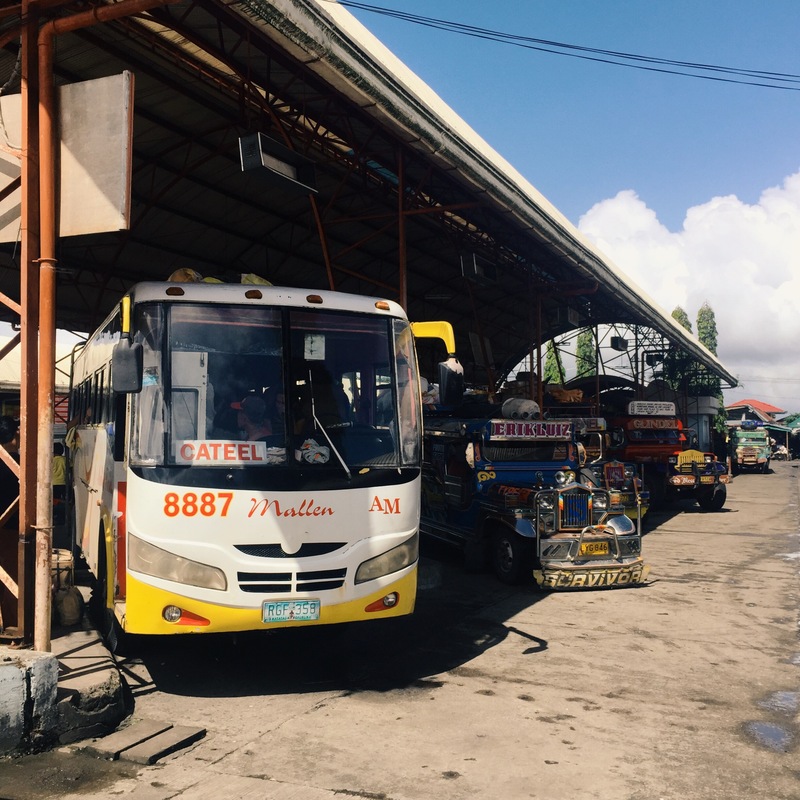 From Mangagoy bus terminal, ride a tricycle to the bus terminal for Cateel or the Lyra/Mallen bus terminal near the public market. Ride a mini bus to Cateel. Go down at Cateel Ingrated bus terminal. Travel time is 3 hours. Buses to Cateel from Mangagoy is only once a day make sure you inquire about the bus schedule immediately after alighting at Mangagoy bus terminal. From Cateel hire a habal-habal to Aliwagwag falls. Travel time is 40 minutes. We entered Mindanao via CDO as part of our 9-day Mindanao adventure to Davao Oriental, Surigao del Sur, Butuan, CDO, Iligan and Camiguin. CDO is probably the farthest entry point. Other possible entry points are via Davao City, Tandag City or Butuan City flights. From Davao you may ride Bachelor Express bus via Mati or a Mallen bus to Cateel. You may also fly in to Butuan or Tandag instead of CDO to cut-off the 5-hour bus ride from CDO-Butuan. 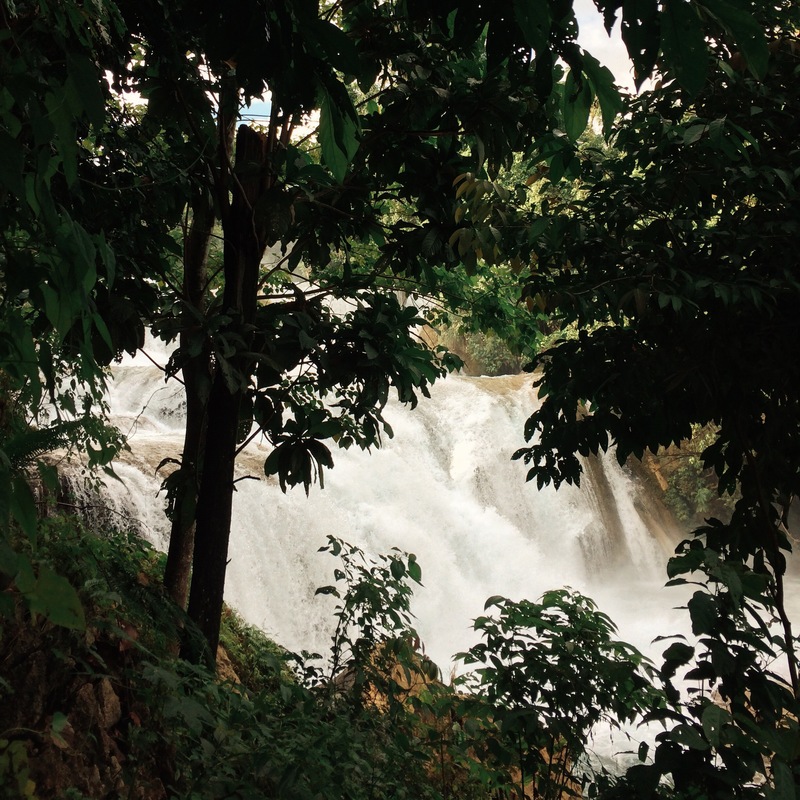 The town of Cateel in Davao Oriental is the nearest town to Aliwagwag Falls Eco Park. There are number of inns in town ranging from fan to air-conditioned rooms. We stayed at OAR Inn, around 10-minute walk away from the plaza. Their aircon room with two single beds and private comfort room costs P800/night. The town is quite small so looking for restaurants wouldn’t be much of a problem. They have eateries and ihaw-ihaw (grilled food) near the plaza. Aliwagwag Falls is one of our stops for our 9-day Mindanao adventure to explore Davao Oriental, Surigao del Sur, Butuan, CDO, Iligan and Camiguin. We entered Mindanao via CDO and went to the farthest stop first which is Aliwagwag falls in Cateel then explored all spots en route back to CDO. Traveling to Cateel via CDO is probably the longest route possible. You may fly in at Davao (nearest), Butuan and Tandag as well. Remember to allot allowance time when traveling, as the bus schedule from Mangagoy to Cateel is not consistent. We arrived at Mangagoy at around 7:30am expecting a Mangagoy-Cateel bus ride at 9am. Apparently the schedules we’ve seen online are already outdated. The next trip to Cateel was still at 11:30am. Having some free time, we decided to explore Tinuy-an Falls (Read more: Tinuy-an Falls Surigao del Sur: Niagara Falls of the Philippines) first which is just a 40-minute habal-habal ride away from Mangagoy. Upon arriving at Cateel Integrated Bus Terminal, we checked in at OAR Inn since we’re going to stay at the town for the night. We hired a habal-habal going to Aliwagwag Falls. Do not worry about finding a habal-habal driver to bring you to the falls, there are a lot in Cateel’s bus terminal. From Cateel we took the Compostela Valley road and travel time was only 40 minutes. The foot of the waterfalls is just along the national highway. You may take photos of this beauty from the bridge. If you want to swim at its basins, enter the Eco Park (pay entrance fees). Aliwagwag Falls Eco Park is well maintained and designed. It doesn’t take away the beauty of the waterfalls. Walkways and the overall design is majorly made of wood which complements the waterfall’s charm. They have a trail going up along the left side of the falls. You may see and take photos of the different drops from different view decks along the trail. Remember to swim only at designated swimming areas as the waterfalls current is really powerful. Other possible activities are crossing the 45-meter Monkey bridge over Aliwagwag Falls and 680- meter Zipline across Cateel river. They also have designated eating areas, a public toilet, shower areas, food concessionaires and restaurants. Half a day is enough to enjoy Aliwagwag Falls. You may be forced to stay the night in Cateel since most bus schedules are only once a day. You may bring in food and snacks and eat at designated areas inside the park. Check the weather before visiting Aliwagwag Falls. Avoid typhoon season. Signal at the park for all major networks is consistent. Swim at designated swimming areas since the current is really powerful. Sometimes they have stationed lifeguards. Children must be supervised at all times especially when swimming. Park is only open from 7:00am to 5:00pm. The falls looks amazing. Not yet spoiled by tourist. Another hidden gem in Mindanao. 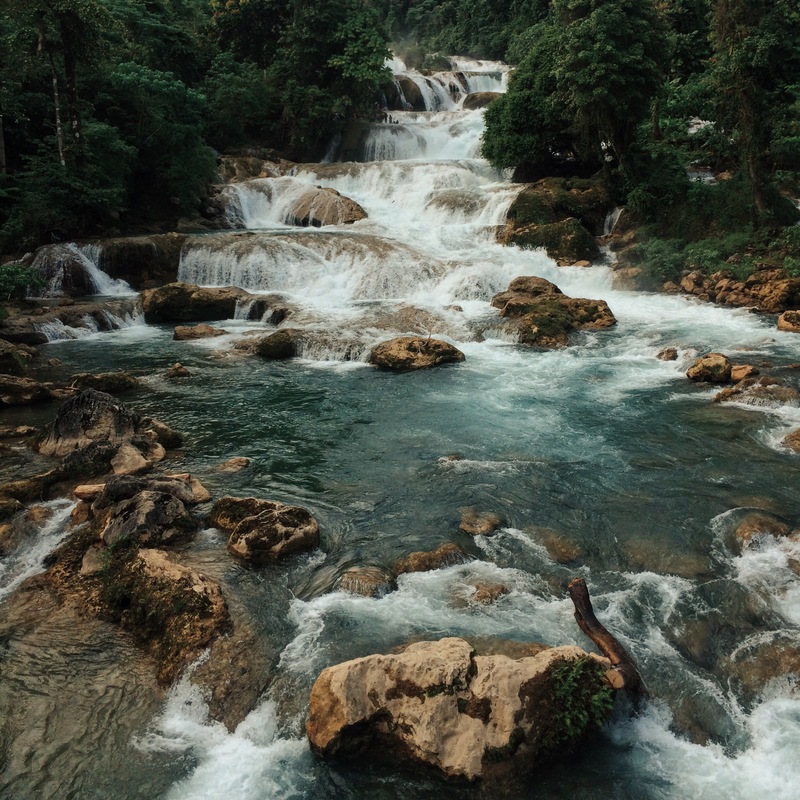 Hi, we’re planning to visit Surigao del sur soon and I really want to do a side trip to Aliwagwag falls. But Im seriously having some second thoughts because I heard that the area is NPA infested? Is it safe to visit Cateel? Do you happen to know if there are a lot of buses from Cateel to Davao City or is it just once per day as well? Thank you! – Not heard about the NPAs, didn’t face any problem when we visited. We even walked at night and around the town’s plaza. Of course you should be careful always. aliwagwag falls is inside an eco park. There were a lot of tourists when we visited the park. – Not sure about the number of buses, but we saw a davao bound bus at around 4am. While waiting for our bus back To Mangagoy.